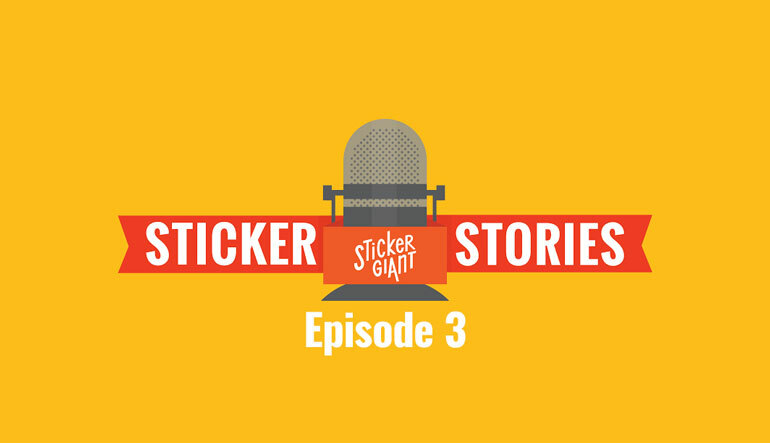 Welcome to the third episode of Sticker Stories, our podcast. This month's show is all about acquiring customers and we have Bill Flagg on the show who will talk more about how his companies go about acquiring new customers to fuel growth. Jesse and Hamish also breakdown their "Top of Mind" for the day talking about back to school stickers and how Game of Thrones has inspired us to stop and observe more label designs, especially custom wine labels. Bill Flagg is passionate about building great, organically grown, built-for-life companies. The kind of companies that employees love, customers shout from rooftops about, and owners want to grow old with. He co-owns five really cool Colorado-based companies. All are organically grown, cash-flow rich, and have no outside investors. Besides StickerGiant, Bill works with Christian @ SurveyGizmo, Jerome(s) @ SnapEngage, Eric @ PosterBrain, and Dave @ Avid4Adventure. Recently, he co-founded Sovereignty, an organization dedicated to empowering self-funded businesses to manifest their independent long-term destinies. You can watch or listen below. The Customer-Funded Business: Start, Finance, or Grow Your Company with Your Customers' Cash by John Mullins. If you want to read more about the topic of customer funded businesses, check out Bill's interview with the author.